Harley Davidson Customer Care, Office Address, Dealer Locations are provided to customers who are looking to purchase/enquire about their Bikes sold in India. 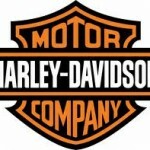 Harley Davidson in India is established in August 2009 and has started its first dealership in July 2010. Harley Davidson presently offers a range of 12 models of motorcycles from each of its 5 families – Sportster, Dyna, Softail, V-Rod and Touring. Customers Interested in Harley Davidson Automobiles can also contact to the Corporate Office and also can fax to the numbers given below. Customers can make use of the Harley Davidson Dealers in India furnished below to locate the dealers and purchase the vehicles. Phone Number: +91 124 496 1600 . Fax Numbers:+91 124 496 1647, +91 124 496 1648. Harley Davidson Customer Support Email id : rideindia@harley-davidson.com and you ca also give your feed back through facebook. Customers can click Store Locator to find out more stores for the availability of Harley Davidson Motor Cycles and for any other information regarding Harley Davidson Motor cycles you can visit the Website and find out the latest reviews on vehicles and can also know the detailed description of the models. For any other information which you cant locate or would want to clarify from the company you can contact Harley Davidson Customer Care India or alternatively write to their email support.